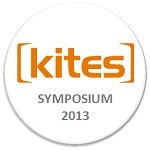 Last week the translation industry actives met at an industry event called KITES Symposium 2013 (#kites2013) in Helsinki, Finland. The main title of the event was the Future of the Language Services Industry and there were plenty of inspiring presentations which discussed the topic from several points of views. Here are some conclusions from those presentations. Language technology companies are working on big data and translation automation. Big data is a hot topic also in language technologies (LTs). Big data is a buzzword for such a large amount of data that no man can process. The 4 Vs of big data are volume, velocity, variety and value. LT companies are searching for ways to bring out the value of the big data. The industry knows that data itself isn’t enough if no one can understand what it stands for. Text analysis and text synthesis are examples of LTs’ contribution to the issue. Machine translation (MT) is another key focus in the LT development. MT is studied and developed by academics, bureaus and private companies. While its potential is widely recognized, people know that it isn’t easy to make MT good enough for all situations. The common opinion is that MT won’t replace human translators but it can change how professional translators work. Translators are searching for solutions to the price pressures. Due to technical development, economic downturn, workforce globalization and other factors, translation pricing is facing a high pressure. There are always cheaper options, there’s always a lower PPC. Price competition is cruel in every industry but in the translation industry with plenty of individual players the competition becomes almost personal. Price isn’t only about costs and profits; it’s about making a living. Thus the new technology, like MT can feel scary to a freelancer. It’s an illusion that price and quality are the only important factors to translation buyers. Availability and capability are equally or even more important. Surprisingly the overall atmosphere in the Symposium seemed to be somewhat positive towards using various LTs, including MT, in the translation work. People think that MT creates more demand for professional translation and technology helps translators to work more efficiently on boring translation tasks. Prices can’t go down for ever, so solutions are searched in differentiation and efficiency. LSPs are fighting against disintermediation. Disintermediation is one way to improve efficiency. Social networks and direct relationships between translators and customers are making it possible to squeeze out all the extra costs. To avoid this language service providers (LSPs) are exploring new ways to add value to the chain. LSPs’ challenge is to make their role visible and valuable to those people who pay their invoices. Traditionally, LSPs have highlighted the amount of translators in their network. But is the information that they have 2000 translators on their list really bringing any value to the customer? I guess that there are other things on top of the customer’s mind. Previously LSPs tended to be the source for translation services. Nowadays global communication has brought freelancers closer to the customers. LSP’s role needs to be active and both the customer and the translator have to be able to see the value of working with the LSP. Translation buyers are rationalizing their translation needs. The current economical situation is changing customers’ behavior too. Wise companies know that they can’t cut out the translation costs completely. Translation is after all a cheap way to be a global company. Still there’s no point in having same material translated multiple times or spending huge amount of time and money on content management. Clear and up-to-date material is beneficial to both the company and its customers. Well-planned processes and content strategies can not only save money but also make the content more unified and readable. User manuals, for example, have traditionally been complicated and painful to understand, although too comprehensive and posh writing style doesn’t bring value to the reader who just wants to know how to use the product. Overall, translation customers are working on making more user-friendly content that is translatable to other languages as well. This means less material to the translators but the material is well-written and properly edited.